Two St Theresa International College fourth-year students, Mr. Aeyaya Chorrot and Mr. Sirisak Katkaew, from the International Business Department have been chosen by Asia Children Charity Korea (ACC Korea) as the Asia Children Charity Thailand representatives to participate in the ACC Leadership Program to be held in August 21-27, 2014 in Korea. The ACC, Korea launched the program, entitled “ACC Leadership Program” for students from the countries under the network of ACC Korea, to participate in the program activity. 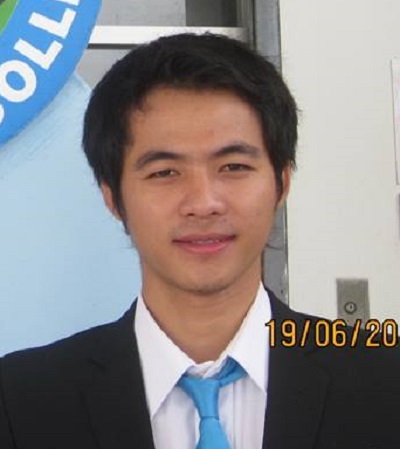 It also informed ACC Thailand, to recruit students for the program. Consequently Mr Aeyaya and Mr Sirisak were selected by the ACC Thailand Committee Meeting for the upcoming program. The program will take place this month. Both Mr Aeyaya and Mr Sirirsak were judged to be the good students with nice manners, good characters and with a good level of English proficiency. The ACC Thailand based as a Child Welfare League of Asia foundation is based in Cha-am district, Phet Buri province last month invited students to participate in the training activity to be held in Korea.